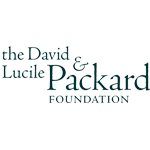 This project was made possible by a grant from the David and Lucile Packard Foundation. Interaction Design students worked as a team to further develop and test final project solutions presented at the Spring 2016 Blue Hope Studio, creating hands-on installations that combine art, technology and science facts to offer aquarium visitors a unique memorable experience and a deeper appreciation of marine life. Students had access to the aquarium grounds and personnel as they observed aquarium visitors’ behavior patterns and targeted the most appropriate aquarium locations for interactivity. Students distilled three previous concepts down to one imminently executable concept which they further developed with the direct assistance of the aquarium staff. Through additional ideation, model creation, onsite testing, refinement and aquarium feedback, the students’ final concept presented an engaging interactive one-of-a-kind experience coupled with informative elements. The 2016 Designmatters Blue Hope Studio challenged students to create interactive exhibits/platforms for implementation onsite at the Aquarium. These exhibits would offer aquarium visitors not only information about how human activity is damaging ocean life, but provide solutions on how to reduce our negative impact on marine life. Marine defaunation (animal loss in the global ocean) is a complex issue, but the challenge was to create exhibits that would present the science in relatable terms without sacrificing the facts, explaining succinctly what extinction truly means and that the phenomenal rate of change calls for urgent action to counter this potential collapse. Speakers helped inform students providing insights and experience; Professor Douglas McCauley from UC Santa Barbara presented the science behind the research on marine defaunation and Dr. Lucy Jones from Caltech discussed methods on telling effective stories using scientific data. The students’ final presentations reflected a wide range of concepts and creativity that included video games, social movements, interactive consoles and marine characters. 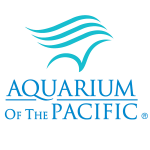 Each year, the Long Beach Aquarium of the Pacific welcomes 1.6 million visitors; many are families and students on school trips, although many adults come without children to enjoy and learn about marine life both onsite and through virtual experiences. It’s the fourth most-attended aquarium in the nation, displaying more than 11,000 animals in more than 50 exhibits that represent the diversity of life in the Pacific Ocean. At the kickoff session, students were given an overview of the original Blue Hope Studio which challenged students to create an engaging and interactive exhibit in conjunction with the aquarium’s new Vanishing Animals exhibition about the complex issue of marine defaunation. Considering three of the five final projects, students examined the advantages and challenges of each concept in relation to actual installation and cost effectiveness as well as a rewarding visitor experience. Students were reminded that visitors come to the aquarium for an enjoyable outing and that presenting a dense and heavy topic, such as species extinction, is a challenge. For a positive engagement, interactions must tap into the guests’ natural curiosity and allow them entertaining exploration of difficult but important issues. Students conducted extensive research field trips to the aquarium, observing first-hand how visitors responded and participated with interactive displays, especially in crowded and often noisy public spaces. Students brainstormed and deeply explored aspects of the three original concepts, honing in on feasibility and potential impact. Students ultimately chose the #HowDoYouOcean? concept to develop because of its strong emphasis on engaging visitors through social media. The original project presented information in a way that triggered a visitor’s natural love of the ocean which can lead to a desire to save it. The students briefly collaborated with two members of that original student team in the early stages of ideation. Observing that visitors enjoy taking photos at the aquarium, the students were prompted to explore how social media utilizes imagery, video clips and other visual storytelling platforms. Students searched for ways visitors could personalize their aquarium visits beyond the traditional photo snapping and sharing to create a long-lasting memorable experience – that could tie into the concept of marine animal extinction. Based on their field research and keen understanding of the current social media connectivity, students considered implementing small and unobtrusive Selfie Stations around the aquarium. These interactive remote cameras would, when activated, snap visitor photos to be digitally uploaded to a central location (i.e., website) and retrieved later by guests for social sharing, etc. Students targeted three proposed locations, popular with visitors and where photo scanners could be easily installed and encumber neither visitor flow nor exhibit viewing. Students pushed their idea further, thinking about the possibility of underwater cameras either placed partially or completely inside exhibit tanks. These stations would offer a unique photo and video perspective along with opportunities for communicating informational/educational content. After the mid-term presentation, students had the opportunity to work with the technical team at the aquarium to structure and test putting cameras into the water. Inexpensive GoPros were used to test angles and light reflections for best camera positioning in the Baja Gallery exhibit tanks. The tank’s soft light was just enough to illuminate the guests’ faces, eliminating the need for additional lighting. From the video testing, students realized that animated Gifs – short videos extremely popular on the Instagram platform – could easily be created and stored for guests to share socially. The team also tested GoPro cameras at the Shark Lagoon where visitors interact and touch sharks and rays. A camera initially positioned underwater only yielded images of hands. When the camera was partially submerged, a more dynamic recording was made, capturing videos of the excited faces of the guests along with footage of moving marine life just below the surface. Working with the aquarium staff, students made sure the camera equipment, no matter how small, did not affect marine life and behavior. Testing onsite and taking pictures of actual visitors proved incredibly valuable for the students; it validated and affirmed their thinking along with demonstrating to the aquarium staff the workability of the concept. Students explored best methods for designing the digital infrastructure. Visitors would receive a barcode and identify passwords with their aquarium ticket which would provide them access to scanning Selfie Stations. With the help of a fellow interactive student, the team built a prototype mock-up of their Blue Whale Selfie scanning station and its interactions which, when demonstrated, helped aquarium staff visualize how the installation would augment the aquarium landscape. The students concurrently researched methods of uploading remote photos to a main storage area (i.e., the Cloud) which would be accessed via the aquarium’s website. Students created a chatbot – in the personae of the highly endangered vaquita porpoise – that would dialogue with visitors wanting to see and upload their images. Students composed pre-populated responses for the vaquita chatbot which lead users to their photos. Additionally, the students created an educational script in the form of a quiz about the vaquita; users who took the quiz would be rewarded with a series of chat stickers associated with other endangered marine animals which they could use on their aquarium photos. Students explored how a mobile-friendly app could provide the same pathways for access and image retrieval. All throughout ideation, prototyping, building and testing, the students honed their communication skills with each other, the faculty and the aquarium staff, learning the value of keeping all stakeholders informed as they progressed forward. Visitors to the aquarium will be able to create unique memories via a series of interactive Selfie Stations where remote cameras will snap one-of-a-kind personalized photos and video imagery. Visitors begin their experience at the aquarium ticket window where they will receive a digital ID stamped onto their ticket. This unique barcode will allow them to activate Selfie Stations, access their photos online and explore more information about marine life. Scanning a code at a Selfie Station remotely triggers a carefully positioned camera. Three proposed Selfie Stations include: near the blue whale just steps from the entrance, an underwater camera in the Baja Gallery, and at Shark Lagoon. The Blue Whale Selfie Station contains an iPad screen, three scanners and three cameras. Footprint stickers on the floor direct visitors to the best place to pose to capture the whale in the background. Before the photo is taken, guests can see their images in the iPad screen and adjust their composition as needed. A light will flash for series of seconds and a countdown will alert visitors that their picture will soon be snapped. The Baja Gallery Selfie Station offers visitors a chance to get a photo taken from inside an exhibit tank. Guests scan their digital ID and then pose as they peer into the aquarium tank giving the illusion of fish and marine life swimming around them. In addition to capturing static images, this station also provides the option of visitors using the footage to create short animated Gifs which are popular to share on various social platforms. The Shark Lagoon Selfie Station provides visitors a visual memory of interacting with sharks and rays. Installed partially underwater in the middle of the pool, GoPro cameras record excited faces and views of sharks/rays swimming in the water. After their physical journey through the aquarium is over, guests continue their experience online and through social media. Using their digital ID code, visitors can view and download their images (photos and video) from the aquarium website. To help them locate photos on the website, a Chabot window, in the personae of an endangered vaquita, is activated which directs them to their portal and sprinkles educational tidbits about this highly endangered marine animal. If users opt to take a quiz about the vaquita, they are rewarded with a series of endangered marine animal chat stickers. Whether accessed via mobile device or laptop, once at their photo page guests can edit their videos to create shorter recordings or select a static image from the series of shots. Visitors can also immediately share their photos/video via a variety of social platforms: Twitter, Facebook and Instagram.